I may or may not have PBS’s “Washington Grown” series recorded on my DVR, I guess I’m that nerdy. Yesterday they had an awesome episode about Washington wheat. Last fall, for rotational purposes, we pulled out the the alfalfa and planted winter wheat. It’s a type of white wheat grown for certified seed, and will become the product that growers will plant for commercial grain. Certified seed wheat ensures that growers will receive the highest quality seed in order to produce the highest quality grain. Looking north onto Saddle Mountain. Not a cloud in the sky! It was 103 degrees yesterday, and 100 degrees today….. if this keeps up we just might beat some July records! The purpose of growing certified seed is to preserve the genetic purity and identity of the grain. It needs to be kept free of weeds, diseases and pests, that could potentially harm the germ, quality and viability of seed. Washington State Crop Improvement Association inspects the crops and certifies the seed. They are wonderful people that do a great job! While I was on the Washington Grown website, I ran across this really COOL “infographic” (that’s a real word, I swear). I LOVE fun facts about Washington State Agriculture – told you I’m nerdy. It’s wonderful to know that we really are a major player in the one of the most production growing regions in the WORLD. I really am so proud and blessed to be raised on a farm, married to a farmer, and farming today in Washington State. Washington’s potato growers have the highest yields per acre in the United States! We produce almost twice as many pounds per acre as our more famous neighboring state to the east. 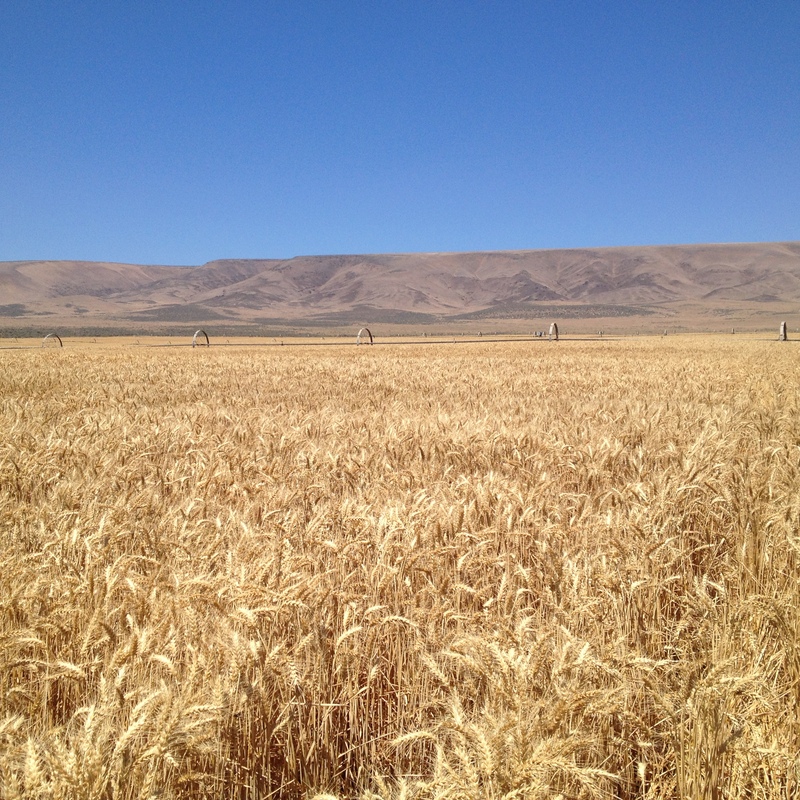 Washington’s Whitman County produces more wheat than any other county in the United States and ranks number two nationally in barley production. Washington apples are sold in all 50 states and in more than 50 countries. 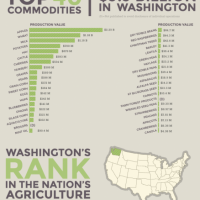 Washington is second only to California in the number of agricultural commodities produced-over 230. In 2007, more than 20% of Washington farms were operated by women.